The transparent poly-carbonate dust cover with inter locking system. On opening of the cover, the machine stops functioning. The safety device is provided with the machine. 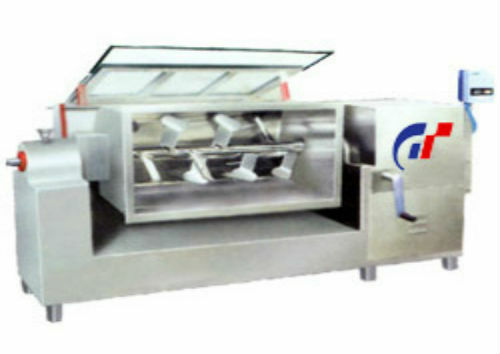 To make easy unloading, the tilting device is provided with the machine. The machine is specially design to make self-adjusting sealing arrangement to ensure no black particles can enter into the mixing drum. Capacity 50 Kgs. 100 Kgs. 150 Kgs. 200 Kgs. Over flow capacity 110 Ltrs. 220 Ltrs. 330 Ltrs. 440 Ltrs. Main Electric Motor 3 HP / 3 Ph. 5 HP / 3 Ph. 7.5 HP / 3 Ph. 7.5 HP / 3 Ph.